Simply stated, leveraging 3D scanning services invites everyone into the conversation, from engineers to business executives, significantly reducing the risk of misinterpretation. When working in technically niche or complex industries, the specific jargon, or symbols, used in combination with thick binders of 2D drawings and the accompanying volumes of documentation, can be enough to repel all but the most tenacious of folks. When you make the transition away from 2D and begin working in the 3D world from the onset of a project, you eliminate those confounding elements and begin creating simple digital files that most anyone can quickly grasp after just moments of seeing it on the screen. Large-scale project reviews can take place quickly and efficiently using 3D models, with design changes being made in real-time. This, in combination with video conferencing services, allows a widespread clarity of design and decision-making to happen at a level never before experienced. One of the most satisfying aspects of working in 3D is seeing the look on the face of a “2D” person when you bring up an exciting 3D on screen and simply rotate it around. You can almost hear the light bulb come on in their head! One of the most impressive stories to tell is how it’s possible to design and fabricate a highly complex piece of equipment and then install it into an environment already loaded with existing machinery (with a maze of utilities running every which way) without ever once using a tape measure. When you work exclusively in 3D, this is not just a story, it is simply how business is done. 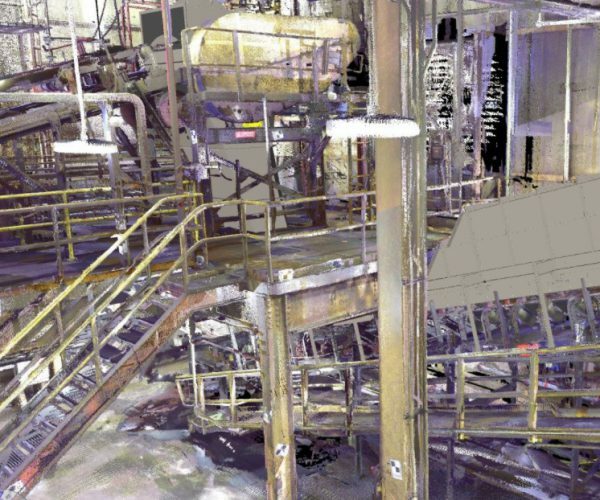 Using the power of 3D scanning services to develop a highly accurate 3D model of the existing environment creates a background into which new equipment will be designed. This process can happen in just days, whereas the ‘old school’ method of documenting “as-built” conditions may have taken weeks or months with surveying equipment and tape measures. Once the background is in place, designing in 3D within that space puts all the physical constraints clearly in plain sight. The new equipment is quickly optimized to fit as-designed, with any modification needed being documented in 3D. Older processes might have optimized the equipment first and then worried about getting it to fit later, which always takes a lot more time, money and system downtime. Once the new design is approved and verified in 3D, the fabrication files can be largely extracted automatically from the 3D model and sent out to a shop. In many cases, this eliminates the weeks that typical project would spend in the drafting or detailing department. Some of the files generated can even be sent directly into modern CNC shop equipment, eliminating yet another step in the process. Once the equipment is fabricated, laser scanning and 3D modeling can then again be used to quickly qualify the work, whereas standard field measurements for QC might take days – or might not even be possible given the complexity of some equipment. This can also save significant time in the process. On the installation side of the equation, 3D again is used to keep everyone on the same page in a format that’s inviting and easy to interpret. Time is continuously saved by eliminating miscommunication and the misinterpretation that can happen with traditional 2D methods.